With time, your Mac may get inundated up with multiple files: video, audio, pictures, documents, etc., thereby gradually eating up disk space. 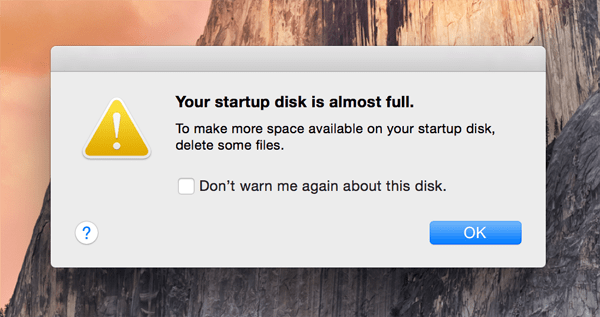 If necessary action isn't taken to clean up the clutter, it may ultimately lead to a warning message: Your startup disk is almost full. Don't worry, this is normal and can be rectified. Hit the Apple icon at your screen's top-left corner. This should give you a visual representation of what's taking your hard disk space and what's available for use. Let's cruise through the top 10 methods to clean your startup disk. Having gone through the steps, you may learn more about your Mac and also discover a few new ways to fix the issue. As aforementioned, right-click the icon. Now hit the button "Command" on your keyboard. The icon's Empty Trash will now get converted to Secure Empty Trash. Clicking this option will permanently delete the entire Trash Bin. It's important to frequently check and clean up your download, movie and music folders. Most download files aren't needed or used after some time. You can move the downloaded files to an external hard drive or the Documents folder. Before cleaning up the contents, organize the space by Date Last Opened or Date Modified. This will help you locate files that haven't been used much since their download. The Movies folder is where you probably have a few hundred gigabytes of digital content. Click the Movies folder and press Command-I. Look at the pop-up that shows up at your window's top right to find out the folder's space consumption. Clean up the space or move the files to an external hard disk. The same process applies to cleaning the Music folder too. Having the desktop cluttered with multiple apps and files will slow down your Mac. The reason being every icon consumes some RAM. However, the solution is pretty straightforward. Clean up the desktop and don't store files there. If you need to store temporary files, create a dedicated folder. Safely and permanently remove or uninstall apps and their preferences, components, log files, etc. Sending them to the Trash Bin isn't mission completed. To uninstall, choose an application. This is a disk cleaning aspect with which CleanMyMac 3 will come quite handy. To get the job done, launch the application, hit Uninstaller, choose the application to be removed and click Uninstall. Recent iTunes versions generate existing iTunes Library file's backup each time the iTunes app is updated. Once you're happy with the performance of a current iTunes update, delete the old files by heading to the previous iTunes folder. The iPhoto app has its dedicated recycle bin. To get started, choose files you'd like to get rid of. These may include bad or inadvertently clicked photos. Service copies also must be booted out. These are copies of original images that were altered. The original image is copied and stashed away safely. Needless to say, these copies eat up considerable disk space. The folders Master, Original, Modified and Preview must be checked to determine if there're copies. To access the folders, open the Finder window and head to the Pictures folder. Press Ctrl and click the iPhoto library and choose Show Package Contents. You must now manually go through the folders and find out copies with altered original copies. This could be cumbersome if you've got a huge photo repository. With CleanMyMac 3, the cleaning will be safer and faster. The cleaning app scans the library and only gets rid of the duplicates. CleanMyMac3 is highly recommended during such scenarios since critical or wrong files once cleaned up cannot be recovered. Press Ctrl and left-click an application simultaneously. Now, head to Resources under Contents and locate files ending with .lproj. There's a specific language prefix before the file name. For instance, German language files will show up as de.lproj. Delete the unwanted language files. You could easily get rid of these files using a third-party alternative like CleanMyMac 3. You'll only require a click and no surfing through multiple folders to get the job done. Hitting "Go" in the menu pane. And heading to the Backup folder. Clean up all the outdated, old backups. 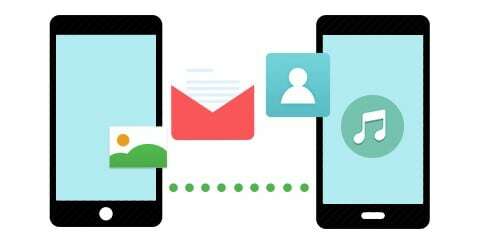 Caches are non-permanent files that help increase the speed of specific tasks. However, with time, the files could get bloated. To get cleaning, click the Finder application. Then, long press the Option key and hit the menu bar's Go option. This should expose the typically hidden Library folder. You would find your caches folder in the Library folder. Also, there are several third-party applications, such as CleanMyMac 3, which help make the cleaning process much simpler and hassle-free. 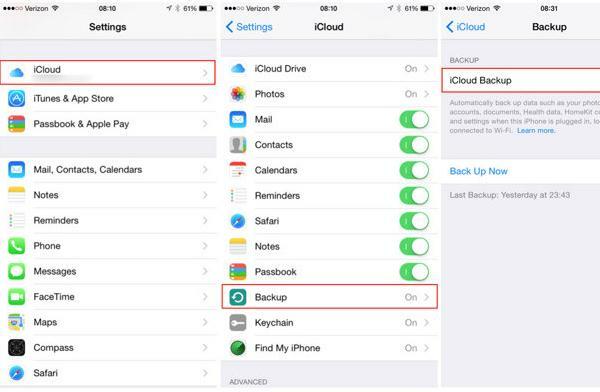 iOS-based devices automatically backup certain settings and files to a Mac every time they're hooked to a computer. The backups are saved in the Backup folder: Home/ Library/ Application Support/ MobileSync/ Backup. CleanMyMac 3 is a long-term, automatic cleaning solution that keeps the startup disk spotless. It can clear several gigabytes of space within a few minutes. The biggest disk space-hogging element on your Mac is always those huge multimedia files and documents. These could be cumbersome to clean if done manually. However, a software application like CleanMyMac 3 will carry out the task within minutes. Moreover, the software will also warn you whenever the disk space is nearing exhaustion, helping you stay on top of space utilization, always. To make accessing and monitoring the software features easier, a fresh menu bar is available that keeps track of memory usage, free space, and existing trash size. Customer alert standards can be set in software preferences, which notifies you whenever disk space is extremely low or the bin size is too high. This is a helpful feature for people with limited disk space on their Macbooks. 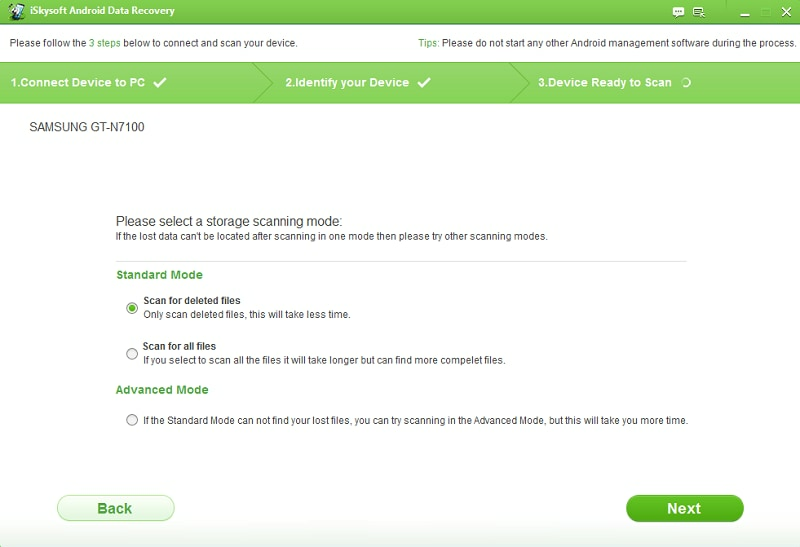 Tenorshare Android Data Recovery Not Working? Fixed! 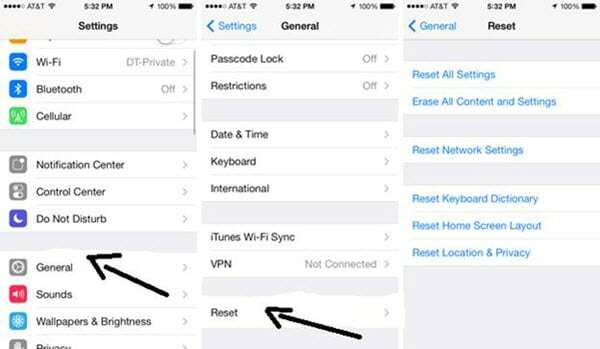 Wipe and Restore iPhone, What Is the Difference?